Costume Hat. 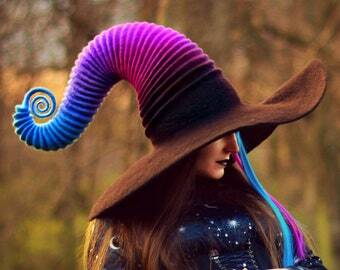 "Galaxy" Witch Hat. Wizard Hat. Fantasy Hat. Cosplay Hat. LARP. Costume Grey Wolf Hat. Wolf Ear Hood. Fantasy Hat. Cosplay Hat. LARP. Costume Hat. "Candy Corn" Witch Hat. Wizard Hat. Fantasy Hat. Cosplay Hat. LARP. Costume Fox Hat. 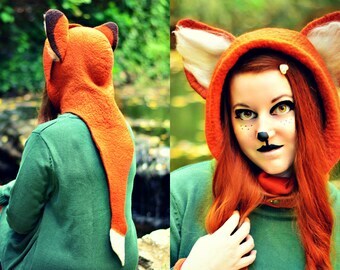 Fox Ear Hood. Fantasy Hat. Cosplay Hat. LARP. Costume Hat. 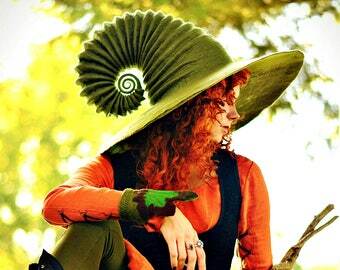 "Woodland" Witch Hat. Wizard Hat. Fantasy Hat. Cosplay Hat. LARP. Costume Hat. 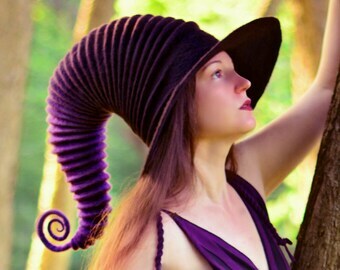 "Potion" Witch Hat. Wizard Hat. Fantasy Hat. Cosplay Hat. LARP. 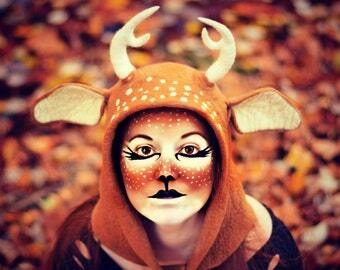 Costume Fawn Hat. Fawn Ear Hood. 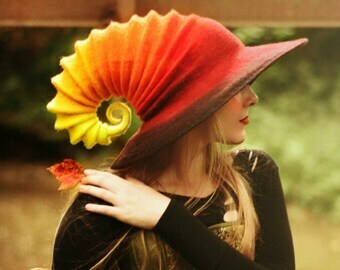 Fantasy Hat. Cosplay Hat. LARP. Costume Hat. 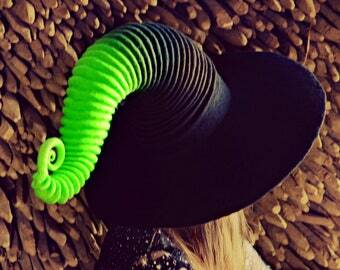 "Wicked" Witch Hat. Wizard Hat. Fantasy Hat. Cosplay Hat. LARP. Costume Hat. "Dark Jinx" Witch Hat. Wizard Hat. Fantasy Hat. Cosplay Hat. LARP. Costume Hat. 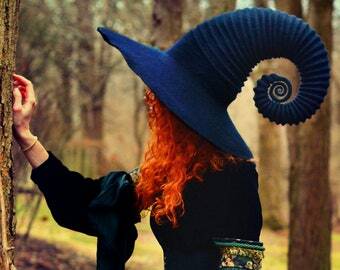 "Storm" Witch Hat. Wizard Hat. Fantasy Hat. Cosplay Hat. LARP. Costume Hat. "Fire Mage" Witch Hat. Wizard Hat. Fantasy Hat. Cosplay Hat. LARP. Costume Fox Ears and Tail Hat. 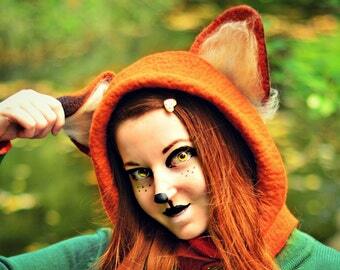 Red Fox Hood. Fantasy Hat. Cosplay Hat. LARP. 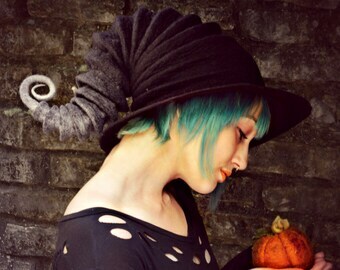 Easy to follow guide to making your own wool felted witch hat. I got the hat out of customs today. It fits perfect, i wore it all evening. My four year old daughter also loves me wearing it. It is the simply the coolest hobby item i ever bought. Would you believe that I was about 10 feet above the ground and doing some impressive/dangerous acrobatics to get this shot. One of my favorite days out with my foxy ladies!! We all put our ears on to see what kind of mischief we could get into. Did you know a group of foxes is called an earth?? Getting the shot (that's me almost breaking my fool neck). I am a professional full-time US-based artist, working in the medium of hand-made felt textiles. 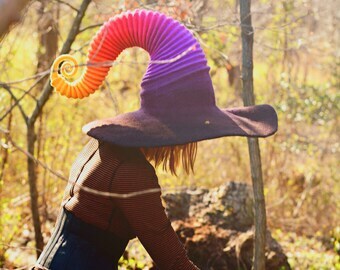 My best known work consists of fantasy-inspired Witch Hats that have been featured on Buzzfeed, Bored Panda, Think Geek, Geekology, and Fashionably Geek. In 2017 two of my hats were featured in Faerie Magazine's Autumn edition and in 2018 I was on the front cover of the German felting magazine Filz Fun as well as featured there within. I remember always gravitating towards the fantastical even as a very young child. So it is no wonder that fantasy has been the focal point of my art through the years. If I had to pin-point when “fantasy art” became a core part of my life, I know I would recall how I spent most of my 6th grade study-hall time illustrating a little book I wrote myself about unicorns. Even though I was pressured away from a career in art during my college years, my passion for it redoubled by the time I was in grad school and had married. That's when I began felting, and from the very first I think I was searching for a felted creation that was the perfect blend of art and functionality. 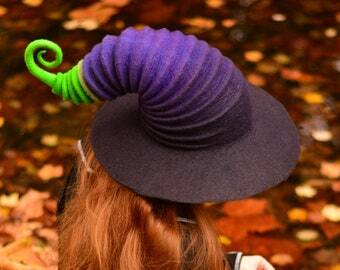 It wasn't until I combined my love of fantasy with my developing felting skills that I created my first Witch Hat. I sold my very first Witch Hat at a local craft fair, and I was so relieved when this really cool couple bought it. I remember thinking "...wow I am so glad somebody bought that really weird hat..." and I almost didn’t make any more because sometimes it takes more courage to be different than most might realize and highlighting a difference can make you feel vulnerable. But asking someone to give you money for being different can touch you down into your deepest ego and leave you the most vulnerable of all. Since 2013, when I made the leap to Witch Hat Millinery, I have built up a considerable reputation for my work. In order to pay the rent and put bread on the table, I work non-stop year round filling custom orders for a range of domestic and international clients (including once the Hollywood star Kat Von D) and I teach felt making workshops around the US. 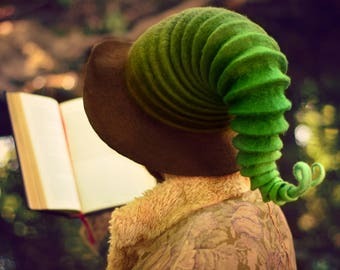 My brand, Felt Wicked Art, has become a collection of whimsical felted creations, and for me "handmade" means craftsmanship, uniqueness, and personality. Handmade items are special items. Most of all, handmade means sharing. The sharing of joy and creativity. Printful is the company that prints my photography and ships it to my customers. Shopping at Felt Wicked Art means you are buying directly from an independent designer. I alone make and photograph all of the items you see in my shop! I value quality workmanship and a beautiful, functional, unique and handmade product. I believe that "handmade" should be interchangeable with longevity and craftsmanship, and I only sell items that will endure the test of time with style. I sincerely hope you will like my designs and I will do my best to provide quality pieces and good service. Please read the rest of my shop policies below and feel free to contact me anytime with questions or special requests. I'm always happy to help! ♥ REFUNDS – If you have any problems with your hat upon receiving it, please contact me right away. Since most of my hats are made-to-order or custom items, returns and exchanges are accepted on a case by case basis. While I try to do everything I can to ensure you are receiving a “perfect” hat before it is shipped, mistakes can still happen. If I have made an obvious error or there is a flaw in my work I will most certainly fix or replace the item if deemed necessary. Essentially, my goal with returns is to reach a conclusion that both parties are happy with, so reach out if you have any issues. ♥ SIZING - Returns and exchanges will not be issued for orders where the customer provided incorrect sizing information. Customers should contact me with any questions about sizing and provide me as much information as possible at checkout (including a note of the measured numerical size of your head). Sometimes special exceptions will be mad here as well so please contact me. ♥ HANDMADE SPECIFICS - Each item I make is made entirely by hand. There is also some randomness to the wet-felting process. This means that the items I sell will be very similar (but not an exact copy) of what is pictured in each listing. I cannot make two pieces that are exactly alike. If the item you receive is different in size, shape, or general appearance in person then you expected based on the on-line photos and you want to return the item please contact me as you will only be eligible for an exchange or store credit. Please see my shop policies for further details, some exceptions will be made on a case-by-case basis at the shop owners discretion. ♥ SHIPPING DAMAGES AND LOSSES – Refunds will not be given due to damage or loss during shipping. This includes the package being damaged during transit or damaged, stolen, or lost after it arrives at your door. While I will do everything I can to help you locate your package should it become lost in transit I ultimately have no control over the package when it leaves my hands. If you are concerned about the safety of your package please contact me about purchasing additional shipping insurance. ♥ EXCHANGE SHIPPING - If an exchange is to be made the customer is responsible for paying the shipping for the item they are returning and the shipping of the new item that will be sent out to them. An invoice for the shipping will be sent and no new items will be shipped until the invoice is paid. ♥ REFUND TIMING - Full monetary refunds will be issued 1-3 business days after the returned product is received or as stipulated in any agreements reached by the customer and the shop owner. It may take several more days for the refund to appear in your bank or on your credit card depending on your banking institution's own policy (of which I have no control over). ♥ EXCHANGE TIMING - If an exchange is being made I will not make or ship the new item until I receive the old undamaged and unaltered item (unless stipulated). I will let you know how long it will take for the new item to be made and shipped. It can take as long as two months in some cases depending on the complexity of the item and the number of open orders I have. ♥ FAIR WARNING - DO NOT SIMPLY RETURN YOUR ITEM WITHOUT FIRST CONTACTING ME. Items sent back to me without my consent may be held without refund, return, or exchange or may simply be sent back without alteration, repair, refund, credit, or exchange using the least expensive shipping method possible. ♥ I strive to make payment fast, easy, and convenient. After all, the faster I receive your payment the sooner I can send your purchase out to you! ♥ Methods - To keep things fast and simple I accept payments through PayPal and credit cards. ♥ Deadlines - Please submit payment within 24 hours of committing to a product purchase. Should I not receive payment with that period of time I will send you a reminder notice. ♥ Cancellation Polity - The transaction will be canceled if we receive no payment or communication within three days (72 hours). ♥ Shipping Insurance – All pieces shipped in the US are sent with tracking numbers. If you want shipping insurance or a shipping upgrade please contact me about it otherwise your item will be sent first class or parcel post. ♥ International Policy – Where ever you are I will ship it to you! However I will not mark your package as "gift". As a licensed business I can face huge fines and potentially lose my ability to hold a tax id number which would prevent me from ever operating my own business again. I will be happy to refund your purchase if you would like to cancel but it is simply not worth it for me to falsify customs forms. ♥ Please Note - My shipping prices may include more than just the price to ship. Other charges such as price of the shipping box/tape are also included in the shipping charge. I refund for shipping if the difference is higher than 5 dollars. ♥ All other Custom Orders – Any other custom order will be shipped out within 4 to 9 weeks of payment. If you have a specific date you need your hat by please contact me before placing your order. Once we have agreed upon a timeline please leave a detailed note at checkout reminding me of when you need your order by. ♥ Ready to Ship Items – Items labeled "ready to ship" will be shipped out in 3 to 5 days after receiving payment confirmation. If you would like me to make a hat of your own design, or a hat that is not already listed in my shop in some form, my custom order policy applies to your order. Please read the following items carefully. They are the rules that will define our creative partnership. 1. DESCRIBE IT - Though I have made many hats this does not mean I have any special insight into the sort of hat you may want. It is up to you to give me as many details as possible. Photos and drawings can really help too. Do not take for granted that I know what you want or that the vision in my head of your hat is the same as the vision in your head. The more details you give me the more likely it is that you will be happy with the result. 2. THINK TWICE - If you tell me that you want me to use my own judgment, to put my own spin on it, or to otherwise exercise my creativity I urge you to consider carefully what you are asking. There is risk in granting another person creative control. Often people have at least some sense of what they want and it is better to think carefully and tell me what you want rather than risk me making a hat that you might not like. 3. ONE HAT RULE - Each custom order represents a single hat. This means that when you have given me the full hat description and we have agreed that I can begin I will make you one hat. A second hat (a second attempt) will not be made. If you have forgotten to mention some details and your hat does not have those details this rule is still in force. If you do not like my creative decisions after telling me to use my own judgement this rule is still in force. 4. KNOW THE RISK - This is a creative process. That means that I will likely not be able to produce the exact hat you have envisioned. I will do my best based on the information you give me and the limitations of the felting process. But ultimately you as the customer are taking a creative and financial risk by ordering a custom hat. As mentioned, I will attempt to make your hat only once. Any creative dissatisfaction you have with the hat will not be enough of a reason for me to redo the hat or issue any sort of recompense. 5. NO REFUNDS/EXCHANGES/SECOND CHANCES - Because this hat is being made according to your own specific designs and specifications I will be unable to accept the hat for refund , exchange, or store credit. Some exceptions may be made on a case-by-case basis, especially if there is some evidence that there was a failure in the craftsmanship of the hat, so please contact me if you have any concerns or questions. Otherwise this is a permanent transaction so proceed with caution. 6. REPAIR AND REBLOCKING - Your hat may not be eligible for my free reblocking program depending on the complexity of the hat. Repairs may also be especially difficult if your hat is especially complex. Please contact me if you have any problems along these lines and I will tell you if I can do anything to restore your hat and what the next step would be. I do not mean for this process to be unnecessarily complicated. I really do want to make you something that you will be proud to wear and to own. But after several customers have attempted to take advantage of me and my custom hat making I have had to put these new stricter rules in place. This is so that I can continue to have the resources I need to make you the high-quality and interesting hats that you have come to expect. If you have any questions or concerns at all please contact me. My name is Kate and I sell on Etsy using the handle “FeltWickedArt.” For several years I was also known on Etsy as “HandiCraftKate.” The information provided below details the sort of information I may collect so I can sell my products on Etsy, as well as specifics on how I use that information, and how I protect that information. By contacting me, interacting with my Etsy shop or related online services, or by purchasing something from me you are consenting to this policy. There is no way I can conduct business with you otherwise. At the same time I do want you to feel respected and for your personal data to be used in ways that are fair and legal. Please contact me with any questions or concerns and I will do my best to address them. 3. This does not include data that cannot be used to identify you in particular. Examples include general analytical information given to me by Etsy or Facebook which show me such things as the methods most people use to find my shop online (either through Google search results, Facebook ads, direct traffic, etc.). 4. This policy also does not cover information gathered by another party on my behalf that is not given to me. Examples include your specific credit card number given to Etsy or PayPal to facilitate payment or demographic information given to Etsy (such as your birthday). Information I gather can vary from interaction to interaction so I cannot give a comprehensive list of what I collect. Generally though I receive the following personal information, either directly or indirectly: Your name, your shipping address, your method of payment, your size (such as a specific head measurement), and your e-mail address. I rely on a number of legal bases to collect, use, and share your information. Basically they can be reduced to the following four points. 1. Much of the personal data I receive is necessary simply for me to conduct my business. This includes fulfilling your orders, settling disputes, providing customer support, and complying with the policies of the services I also make use of (such as Etsy). 2. I do have a mailing list of those who have expressed interest in learning more about taking classes or purchasing tutorials from me. This list is used to send out an occasional e-mail newsletter. I do not put anyone on this list unless they express direct interest. If someone does purchase learning materials from me I may also send a single e-mail or Etsy message letting them know about this e-mail list and asking if they want to join. I only put them on the list if they answer back specifically that they do want to join that list. Otherwise no other contact is made along these lines. 3. In some cases I may use your personal data if necessary to comply with a legal obligation or court order or in connection with a legal claim, such as retaining information about your purchases if required by tax law. 4. I may use your information to improve my business practices, but not in a way that violates or overrides your own rights and interests. I use these four points for the sake of brevity. They do not cover all of the legal bases I rely on. As stated, individual interactions can also be highly varied and may not fall neatly into the four categories above. 1. Engaging with trusted service providers, such as Etsy or a shipping company. This is done to facilitate my business (as detailed previously) and to comply with the policies of those services. I only share the information that is absolutely necessary. 2. Shifting my business, such as selling it or merging with another business, requires your personal information that I have collected to be given to the care of this new entity (to the extend required by law). 3. Information may need to be shared in order to comply with laws, legal process, and government requests. As already noted, only what information is strictly needed will be provided. 4. Information may need to be shared in order to safeguard the rights, property, and safety of my customers, myself, and others. I live and work in America and I also make use of services that may otherwise be outside the jurisdiction of the EU (such as Etsy, e-mail services, and PayPal). This means that the moment you begin interacting with me or the services I use to facilitate my business you may be transferring personal information outside of the EU. I endeavor to protect your personal information, even when it is transferred outside of the EU by only using established and reputable companies and services as well as only using services with up-to-date privacy policies and encryption. Do you need your order for a special event and want it by a specific date? Please contact me before ordering! 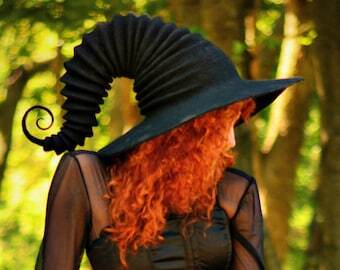 Do you Have a Witch Hat Buyers Guide?